Sometimes, instead of black and white we tend to look out, how a grey would look? Yes, today we are going to discuss the ‘entangling’ or ‘superpositioning’ which is a power packed functionality of quantum computers. And simultaneously, how can they pose a threat when fully launched in the world. Superposition is a state in which a system can be in multiple stages i.e. it can be ‘up’ and ‘down’ at the same time. The Quantum systems can hit different modules of a problem simultaneously, split across possible versions of the universe. Quantum computers are going to be the next huge development in computing for processing data, with an ability to perform calculations thousands of times faster than today’s modern supercomputers. Quantum computing is not well suited for tasks such as word processing and email, but it is ideal for tasks such as cryptography, modeling and indexing enormous databases. A quantum computer can compute in minutes or hours what a conventional computer would take years or much longer to do the same action. Quantum computers are threatening to kill something on which we have the highest faith. ‘Encryption’- the thing on which the privacy and security of whole Internet depend on - is going to abolish with the production of quantum computers. When a message is secured with a modern encryption system, the keys used to lock it are typically very large in numbers; tens, if not hundreds, of digits long. Therefore, finding that key and breaking the lock means using a computer to carry out lots of sums and then trying each answer to see if it unlocks a message or not is a huge task for hackers. As per Peter Shor, a mathematician, who says fully working quantum computer could factor large numbers easily, thus making it capable of breaking already existing strongest forms of encryption, used to protect things like financial and medical data. The CIA, Google, NSA and Microsoft have already set up their labs and working hard to build such a system that could create either revolution or panic! However, before the development of Quantum computers, we need a quantum computer-proof web encryption protocol to keep the Internet a safer place for next generation. Microsoft has already took an initiative, and is working with chip maker NXP and Queensland University of Technology (QUT), to build a new protocol of key exchange model that is suitable for use in SSL/TLS and can’t be cracked easily by Quantum computers. 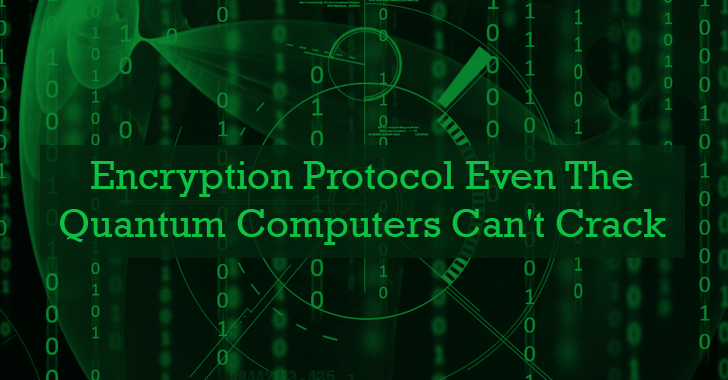 The team has already developed a robust encryption protocol prototype that they explained can slow down cracking process by 21 percent than the versions using elliptic curve cryptography. Rather than multiplying large prime numbers together, or using elliptic curve cryptography, the mathematical operation of new protocol is based upon multiplying polynomials together, then adding some random noise, which makes it much harder to crack. As we live in the notion where encryption is rock-solid and is unbreakable. However, within the foreseeable future, cracking those same codes could become accessible, thanks to quantum computing. Quantum computers have a lot of potential, which can be of a great advantage like they can allow researchers to design better circuits as well as offers sturdy growth in artificial intelligence. D-Wave One, a Canada-based Quantum computing company developed the only commercially available quantum computer. And within a period of 2 years it has doubled its computational power.